Some recent additions to my wardrobe over the last few months have all been of the floral variety, like this little number. Always up for a good print, and this one is definitely a favorite from the season. Also have it in this NYC tee combo. But besides the print, I’m totally into that cool high-low mullet hem. All about the asymmetric shape which I don’t really have much of skirt wise. In a nutshell, it really didn’t take much convincing on this piece, but then again that’s always the case for me when it comes to all things Lim. Eagerly eyeballing his collection for pre-fall. 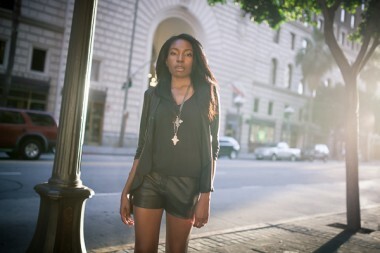 have the tank….WANNTTT the skirt!!! Yeah the skirt is one of my faves!! 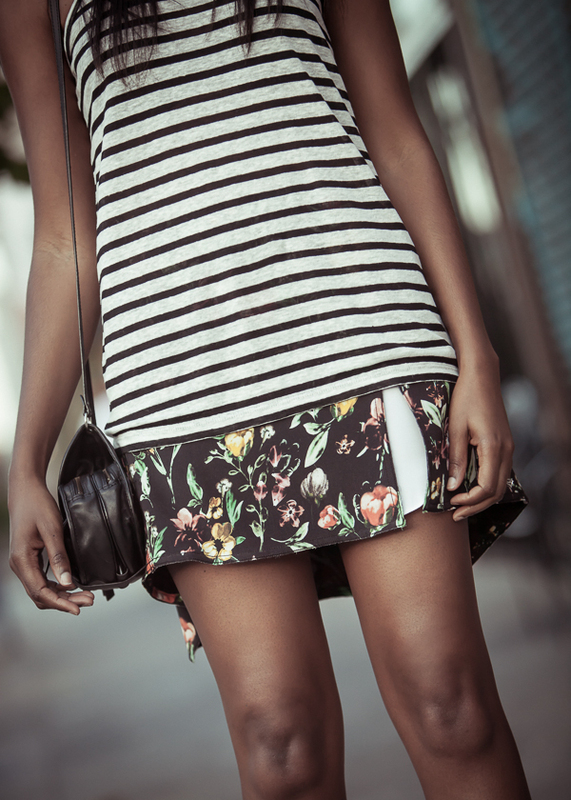 Floral x Stripes = Perfection! Love your style! I looove this combination, Theresa!!! 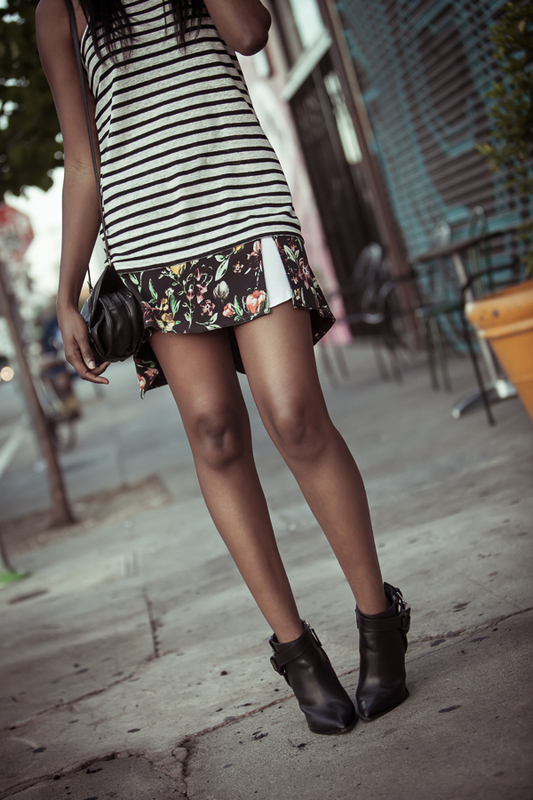 Your stripes, floral, and short boots are divine! You look fabulous, as always!! Nice adds! You look fantastic! Love the print of the skirt too. Wauw what a beautiful photos girl! Love the stripes on the skirt! You look like a NYC chic city girl! 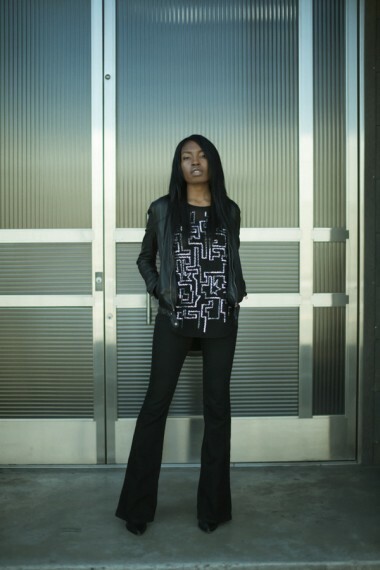 This outfit comprised of my fave guy designers, Philip and Alexander is pure fabulous! Now that I know you are in LA, we must meet one of these days~I would love that!! Cute new buys. Damn those boots! They still deliver the goods! Still love those Thakoon boots so much! So gorgeous! These photos are stunning and I’m obsessed with those booties! But the most I love your boots ! Thank you sweetie!! Yeah, those boots are one of my faves! Oh he can do no wrong too! 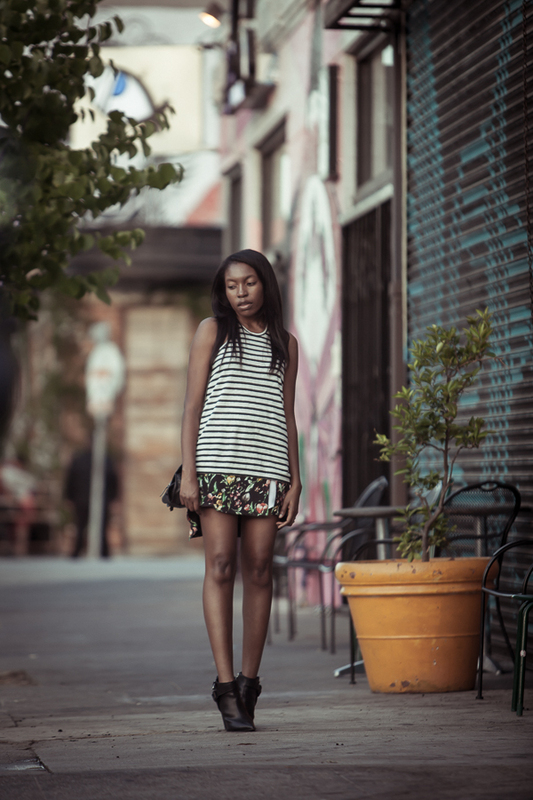 I loved this floral print and seriously kicking myself for not stocking up on the floral NYC tee and that skirt! The skirt is still available on a couple of sites in case you’re still wanting it! LOVE this! Especially the boots! Gorgeous, girl! Thank you Aliya! And I totally agree with you about the print! So in the end I didn’t get that skirt and kind of totally regretting it now. Looks so great on you, and I love it paired with the stripes! It’s still available! Not to enable you or anything hehe. 😉 Thank you Jamie-Lee! Gorgeous, T! The outfit is perfect on you. I’ve never thought of mixing stripes with floral prints but they go together beautifully. 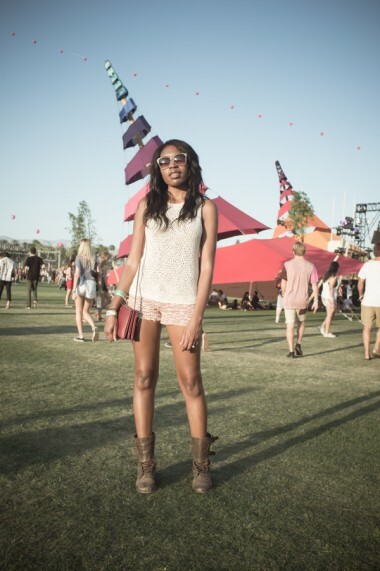 really nice mix of prints and the boots are the icing of the cake!